Fortunately, we are loaded with ice skates for ages from 3 to 100. If slinging the puck around the pond hockey is your thing, come in and lace up a sturdy pair of our moderately priced hockey skates. For those wishing to channel their inner-Dorthy Hamill or Brian Boitano we are here to help you live your dream! Please come by and pick your pair of dazzling (but budget conscious) figure skates. Brooks Orpik, defenseman (#44) for the world champion Washington Capitals delivers the Stanley Cup to Cohasset's GOOD SPORT. 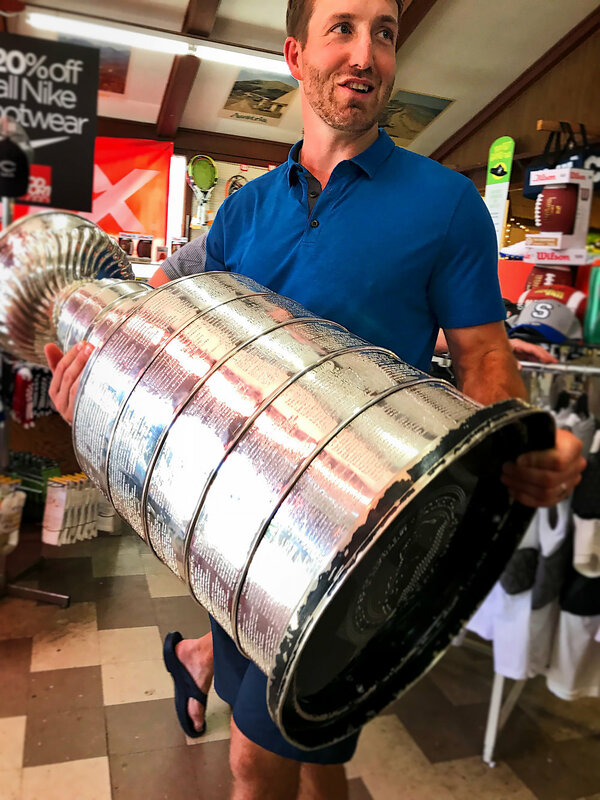 Brooks Orpik, South Shore resident and defenseman (#44) for the world champion Washington Capitals stop by the store today with a special friend, the legendary Stanley Cup.